Car Seat Prototypes, Developments and Experiments. It is absolutely obvious that any backrest flexes the lowest joints of the spine when sitting. 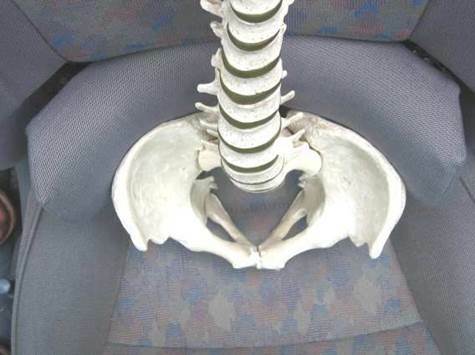 At least, it is obvious if you know that the pelvis is a large structure attached to the base of the flexible spine. However, as my back pain got worse from age 36 or 38, I increased and added to the lumbar support in my car seat. I didn't know the structure of the spine and pelvis. I was a computer engineer. Why would I? This simple point has now occupied me for 36 years, half my lifetime! The following are just some of the pelvic support chair and car seat developments that I did from 1981 till 2014. These are in reverse chronological order as it is obviously the later developments that will be of practical interest (hopefully!) rather than my earlier experiments. ---until they are electrically adjusted forwards to provide pelvic support. 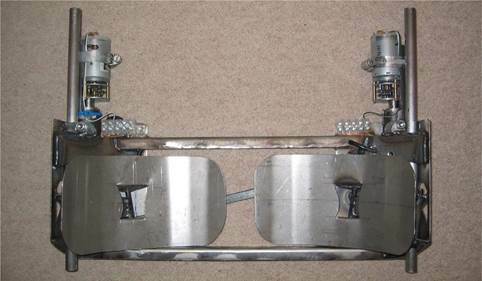 The prototype unit measures 410 wide by 170 high with small electric motors for height adjustment and pelvic support adjustment. This would hopefully fit in any car seat. That would certainly be a design aim. To be inexpensive enough for commercial viability, the unit would have to be designed for large volume production and sale to many different companies. Shukra, for instance, supply the same lumbar support units to the car industry, the aircraft industry and the office furniture industry. By connecting to existing seats without any changes to the basic seat metalwork, I believe it would be possible for car manufacturers to offer this unit as an option or an upgrade to an existing model without retesting. 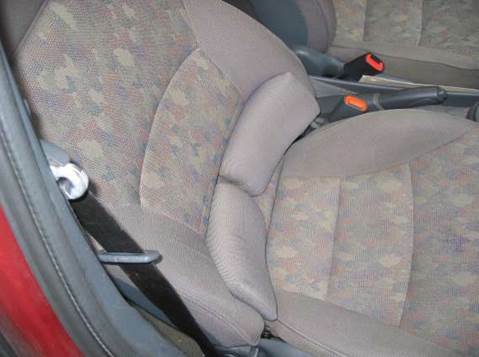 It would also be possible for this unit to be supplied and fitted to existing seats by someone other than the original car manufacturer or seat manufacturer.